The WaveDriver® 40 is a DC Bipotentiostat/Galvanostat System capable of controlling one or two working electrodes in the same electrochemical cell. 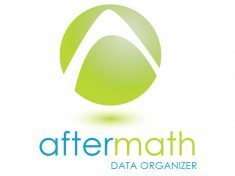 With a modest form factor and convenient USB interface, the WaveDriver 40 packs a punch with iR compensation, the ability to perform over 38 different electrochemical techniques, and our powerful AfterMath® Data Organizer software. The WaveDriver 40 Bipotentiostat is available in several product bundles. Browse the different bundle options below. The WaveDriver 40 Bipotentiostat does not perform Electrochemical Impedance Spectroscopy (EIS). If your research needs include EIS, please consider our WaveDriver 200 system instead. The WaveDriver 40 requires a power cable. Specify the appropriate power cord style during order. Pine Research offers a wide variety of plug styles. The WaveDriver® 40 is an affordable benchtop bipotentiostat/galvanostat system is a true bipotentiostat, capable of performing a wide variety of experiments such as rotating ring-disk analysis. The WaveDriver 40 is a true two-channel bipotentiostat, which means two working electrode channels to a common counter and reference electrode, with an impressive current range from ±100 nA up to ±1 A, advanced input, output, and waveform filters, and iR compensation. 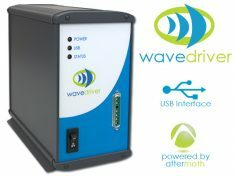 The WaveDriver 40 connects to your laptop or PC via a standard USB cable and is controlled by our power AfterMath® Data Organizer software application. Rear panel connections allow rotation rate control when using rotating disk, cylinder, or ring-disk electrodes. Additional connections for analog input/output and synchronized timing permit the WaveDriver to be used in conjunction with other instruments. Affordable. Take a look around at similar bipotentiostat/galvanostat systems and you will have a difficult time finding one with comparable specs and capabilities at the same modest price point. 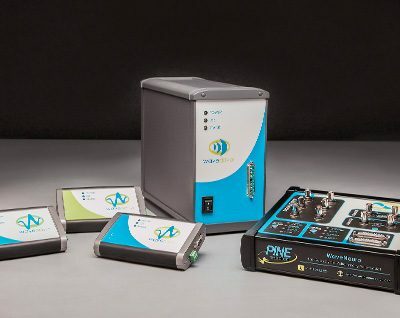 Pine Research strives to bring you cost-effective electrochemical instrumentation. The WaveDriver 40 also includes a four option dummy cell for calibration checking and instrument function testing, at no additional cost. Capable. Designed with the everyday user in mind, the specifications for the WaveDriver 40 bipotentiostat is broad enough to permit you to perform a wide range of routine electrochemical techniques but also prudently chosen to allow for a simple and affordable design. 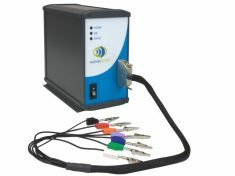 Popular and common techniques such as cyclic voltammetry, bulk electrolysis, differential pulse voltammetry, square wave and pulse voltammetry, battery charge/discharge sequences, corrosion-based analysis such as linear polarization resistance, chronoamperometry, and chronopotentiometry are easily configured and executed using our AfterMath software package.